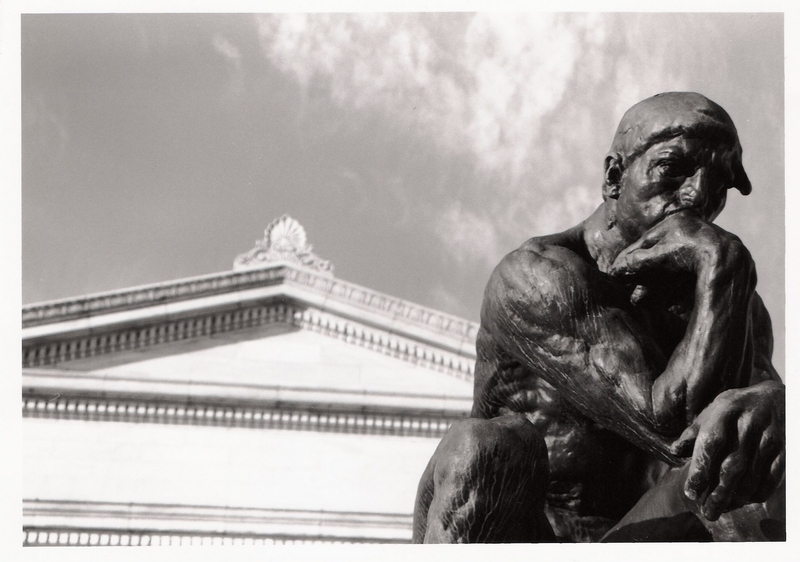 What part does Wisdom play in the American Presidency? What about Maturity? Experience? Dignity? Are these deciding factors? Is it possible, realistic, or necessary to choose a president with the same study, planning, and deliberateness we ought to apply to our retirement investing? How about with regard to which jumbo TV to buy? Are we to make this decision based on how we feel or what we think? On what we hope for or what we know? Is it, or should it be both? This season’s NCAA men’s basketball tournament brought back to me memories of my junior year at West Vigo High School in west-central Indiana. Larry Bird, a senior at Indiana State University was completing his student teaching there, and even if he had not been THE star of college basketball and ISU had not been going against all odds to rise to the top of the NCAA standings, it would have been a real phenomenon: he was huge. Nearly a foot taller than anyone else in the building, he caused a stir every time he walked down a hallway. 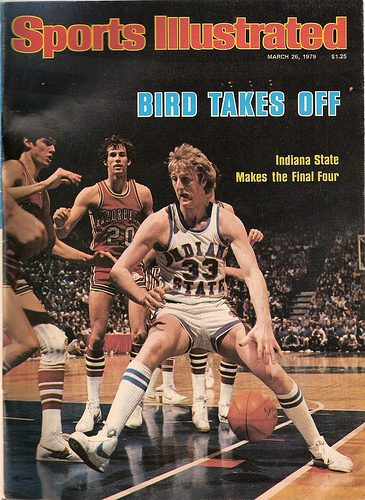 Because of Larry Bird and that sensational ISU team, it was perhaps one of the most spectacular and exciting years in Terre Haute and Wabash Valley history. And even more so for us at West Vigo; he was our guy. Larry Bird. At our school. And then they did it. 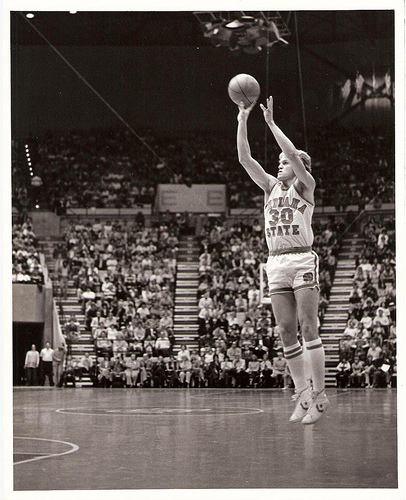 Actually, to be very technically correct (and no doubt Larry himself would insist on this exactness) it was Miracle Man Bob Heaton who made that amazing final basket against Arkansas that sent ISU to the National Semifinals and then on their way to the championship game of 1979. And it was the entire team, too, really. They were led by Bird, but beyond him, they were as a team of that rare stuff that is described more as a single-purpose well-oiled machine with multiple highly specialized components. He was the icing on the cake. Heaton and the others of that great team confirmed they were where they were because of how they worked together to achieve what no one ever really expected. And so it was – or is – with the Butler Bulldogs of 2010. And these guys deserved to be there. They have been up-and-coming for several years, with the impressive seasons stacking up. Butler was not a fluke. While this 2009-2010 team may, as some sports writers have discussed, have one, maybe two potential NBA-level players and no more, the team as a whole was solidly a championship-level team. They earned the right to be there. In the last desperate seconds of the fictitious Indiana State High School basketball championship of 1953, Coach Norman Dale of the Hickory Huskers (Hoosiers, 1986) almost violently proposed that “…maybe they were right about us. Maybe we don’t belong here.” But as the story predictably went, the Huskers did belong there. 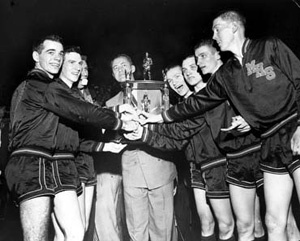 And where truth inspired fiction, the Milan Indians deserved to be in the Butler Fieldhouse for the real state championship of 1954, and Indiana State had earned their way to the national championship of 1979, and Butler belonged there too, every bit of the way. But, all that said, they were the “little school”. They were not chosen at the beginning of the year as a contender. Arguably, from a national perspective they rose from obscurity amongst the predictables and expecteds. They did not exist – and certainly not traditionally – within the realm of historic basketball powerhouses, such as, for example, Kansas, Kentucky, UCLA, Georgetown, North Carolina, or … say… Duke. As with their Hoosier brethren (this time we respectfully exclude the Indiana Hoosiers), they were the anomaly – at least to those who didn’t really watch them closely. And they should have been watched closely. Butler did not get to the final game by chance or luck. Any analyst worth their salt will describe how Butler was on their way, building season upon season. This was no accident. So that is why I see it this way: In general, year after year, “we” expect to see Duke “up there”, and are not at all surprised to see them once again make their way at least to the Sweet Sixteen, and usually we expect them to go on the Elite Eight and even when they have gone to the Final Four we are not stunned (can I really count how many times? Begin with five consecutive times just in the 1980’s, not to mention these past two decades of several national championships). Butler hasn’t [yet] done any of this. Duke on the other hand – we’ll lose track of just which year we’re talking about; it all blurs together in a soup of ho-hum status quo-predictability after a while. Butler, by stark contrast, made history. And like Indiana State University and Milan High School before them, Butler will be the team people will talk about for years to come. I had better assure you now that I am neither bitter nor a sore loser. Maybe I sound bitter. Maybe I am. I’m not that bitter. No, I’m not really bitter. Ok, I’m a little bitter. To be sure, it was a fair fight. I am just disappointed. Not with Butler, but simply with the outcome. Butler’s game was great, and they were the story. They are the story. Duke holds the status of “been there-done that several times” (and yes, I know that if it were my school in that position I would not look at it that way). Butler’s was the newest version of the hoped for and inspiring story basketball fans everywhere long for every season. Sure, the Bulldogs lost the game, and congratulations to Duke, but Butler made history. They did it not just during the final game, but they were creating it throughout the season. And after all, there will be next season. By the way, which team are you talking about more these several days later? Yea… thought so. Go Bulldogs! During the last big snow to hit Colorado, my son Jace and I headed out to the sledding hill near our home. After an hour of fun, we trudged back home through the deep white and a thought came to me: It was the typical dad-thing where I think I have a prime opportunity to hand off a valuable life lesson to my Little Man. I had just started listening to David McCullough’s “1776” during my daily commute (for the third time) and as we walked through the snow, I thought of the Christmas eve attack Washington led against the mercenary Hessians fighting for the British in Trenton, New Jersey. Many of our soldiers went into the Battle of Trenton not only without adequate shoes (or clothing for that matter) but many of them had no shoes at all. And as it turned out, it was, after so many horrific failures, blunders and outright defeats, the battle that finally turned the tide for the Americans. And yes, the rest really is history. It is now quite literally living history. We are still reaping the benefits, even today, if ever even so quietly, unconsciously, of their great dedication and sacrifices. For them it was only a dream, and perhaps only a vague one at that. But they did it for us, these many generations later. Yes, their struggle was for survival and the promise and preservation of Liberty, but their struggle was also was for a hope, an idea, and a liberty that they knew many of them would personally never realize. Those great Patriots truly laid their lives and fortunes down for their friends, some yet to be known, and most – us – never to be known. It was for the future – our present. I’m not really sure what impact it really made – possibly little, of course, but it was something. 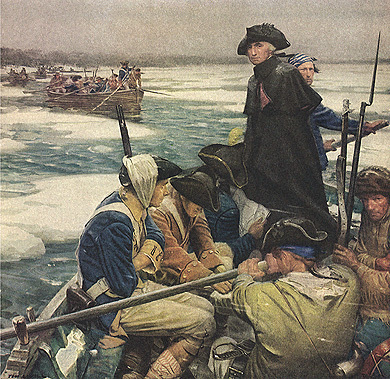 Aside of the unbearable physical conditions the Continental Army faced every moment of every day in the pursuit of the Great Cause, there were other extraordinary commitments and sacrifices being made many others who believed in the revolution. John Hancock is another example. A member of Congress (and in several months was to be the most visually memorable signer of the Declaration of Independence with his over-sized signature), he owned a beautiful stone mansion on Beacon Hill in the heart of Boston. It was his only home and so, full with his family’s possessions and all earthly evidence of their material lives. As David McCullough wrote, Hancock “…heartily agreed” that Boston should be burned, apparently without any deterring regard for his own situation. In fact, there are hundreds of such accounts of patriots willingly committing their fortunes, their reputations, their security, and their very lives. And all for an endeavor – no matter how lofty or worthy – whose outcome was as yet far from certain. As I told Jace of the story of the freezing soldiers and as I have continued to think of Hancock’s expression of his conviction, I wonder, when it comes right down to it, what I am willing to do for the causes I believe in. What am I willing to give up? 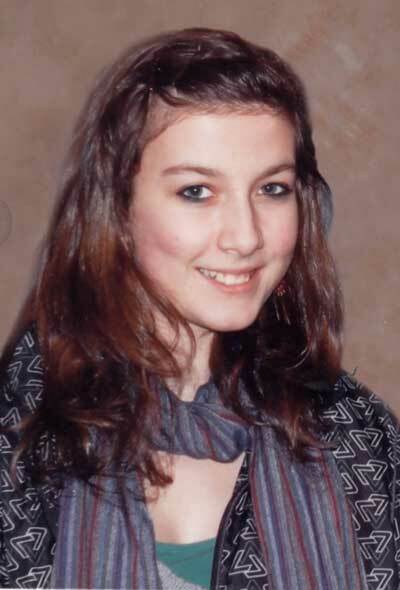 The suicide death of Phoebe Prince has struck me again this morning as I listened to the news on the way to work. It has been nearly two months since the tragic end of her life, and I am afraid most of us have already let it blend in with the rest of the world’s events. Everyone needs to know they are loved. But just as much, everyone needs to know they are wanted. In fact, I never think of this without wondering if the latter is nearly more important than the former. When someone knows they are wanted, it describes without exception that they are included; they are called by name and asked to be there. This I believe is an imperfect view, an imperfect solution. For those of us who believe in God, we have to leave that perfect solution to God – and His is love in its perfect form – what Christians describe as Agape love. So in our humanness, while we have a need to love and be loved, we very desperately need to know we are wanted. Do this when you have the opportunity to take action toward another person: Remember – that person has the need to be loved. But they – we all – need to know we are wanted. The two are different. Show someone, whomever you are close to – not only relationally, but physically – they are wanted.